Every once in a while, a fantasy novel comes around that doesn’t follow the trends that one almost comes to expect of the genre. If you’re the type who’s looking for sword and sorcery, flaming dragons and epic quests involving objects of power, this is not your novel. If, however, you’re looking for a slow-moving, gradually unfolding tale about an uncomplicated young man who finds himself quite suddenly thrust into the predicament of becoming an emperor, Maia’s story might just well be what you’re looking for. Maia is the unwanted result of the marriage between the the Goblin princess Chenelo and the emperor of the Elflands. What was supposed to be a political marriage was never intended to produce an heir, let alone a halfbreed, and Maia has spent most of his childhood growing up in an isolate estate with only a relative to care for him (and not very well at that). When the emperor and his heirs die in freak airship accident, Maia is thrust from anonymity onto the emperor’s throne, as he is eldest heir. Court politics, as he soon discovers, can be deadly, and not everyone is pleased that a half-Goblin is seated on the throne. What also counts against him is his complete naïveté when it comes to intrigue and yet, this very same weakness also proves to be his greatest strength while he establishes his rule. What is clear from the outset is that Maia is a good person. His honesty, his almost-painful lack of guile, elicited a need for me to see him succeed in the snake pit of the imperial court. There are moments when his social ineptitude made me cringe, but by equal measure watching him grow into his role was ultimately rewarding, even if most of the action – this is partly a murder mystery – takes place offscreen, so to speak. Such action, as it occurs, is brief, and focus is rather placed on the subtle, interpersonal relations between the characters. This is not a fast-moving novel by any measure. Katherine Addison’s prose is detailed and textured, and at times the array of names for people and places is bewildering (and possibly intentionally so, to create a sense of disorientation that Maia might feel at his situation). Yet the story is compelling, down to the last chapter, to be savoured for the rich world building and the slow weave of power play. 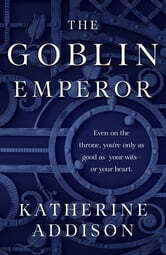 The Goblin Emperor’s awarding of the 2015 Locus Award for “Best Fantasy Novel” is well deserved. Read the book through within a day. Was entirely hooked to it. There is still so much potential for this world, and I look forward to sequels. 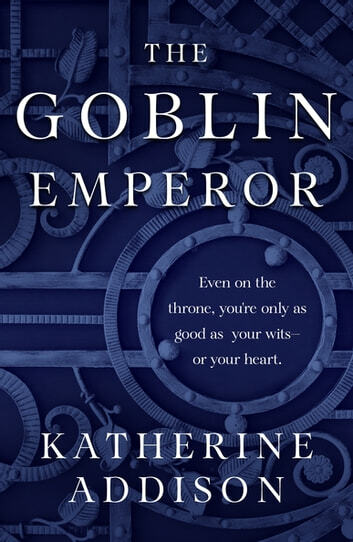 Anyone who has enjoyed the 'fish out of water' trope in Royal courts will love this amazing fantasy novel. There's plenty of royal intrigue, with assassination attempts and betrayals from within, but that's not what makes the book so wonderful. Our new Emperor is just such a good guy. You can't help but root for him from the beginning, and it makes the reader feel each betrayal all the more. He's striving to be the best ruler he can for his people, and be as different from his father as he can, with absolutely no be of the training a heir-apparent would have received. The resulting story is the most human look at a royal house I've ever read. It was great, it was not a sad book or depressing or grim dark at all . Names are complicated,you need the glossary in the back so you won't be confused. I honestly don't know why people like this book so much. A coming of age story where all he does is whine and doubt himself. Refuses to act, but people start to like him anyways and everything works out in the end. Very frustrating read.